Critics call it a feel-good mashup of two popular American television shows "This Is Us" and "Modern Family". Now, Filipino audiences can find out on their own more than a week earlier than expected as Paramount Pictures’ "Instant Family" will have two whole-day sneak previews on January 21 and 22, 2019 in select cinemas nationwide. Tickets will be at regular admission prices. Unfortunately, no information on participating cinemas was provided as of posting time as such, please check the social pages or websites of your favorite cinemas for their participation and screening schedules. 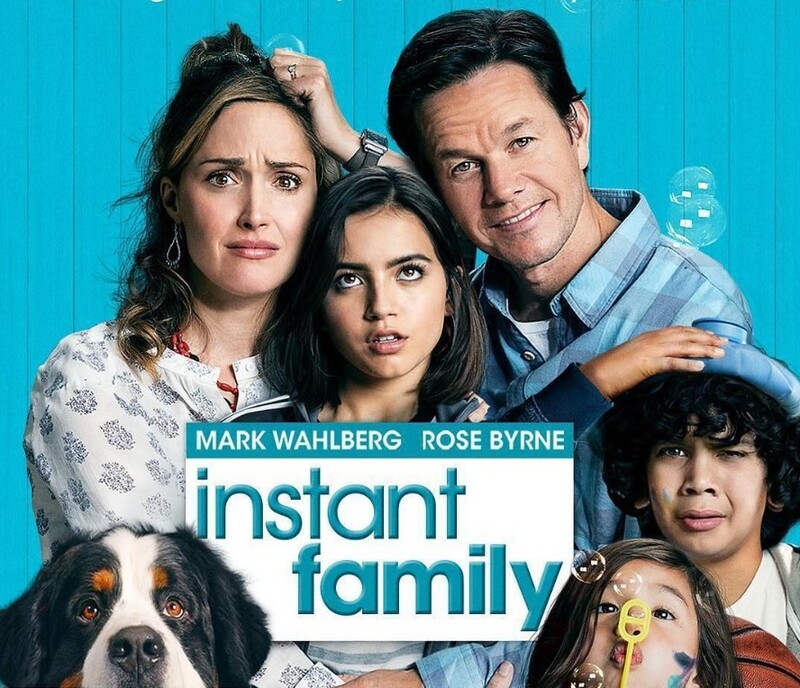 In the film, when Pete (Mark Wahlberg) and Ellie (Rose Byrne) decide to start a family by going on foster care adoption. They hope to take in one small child but when they meet three siblings, including a rebellious 15-year-old girl (Isabela Moner), they find themselves speeding from zero to three kids overnight. Now, Pete and Ellie must hilariously try to learn the ropes of instant parenthood in the hopes of becoming a family. Surprisingly, "Instant Family" is inspired by the real events from the life of writer/director Sean Anders. In Philippine cinemas January 30, "Instant Family" is distributed in the Philippines by United International Pictures through Columbia Pictures.